A collection of 20 short texts to help Pre-Intermediate and Intermediate learners. 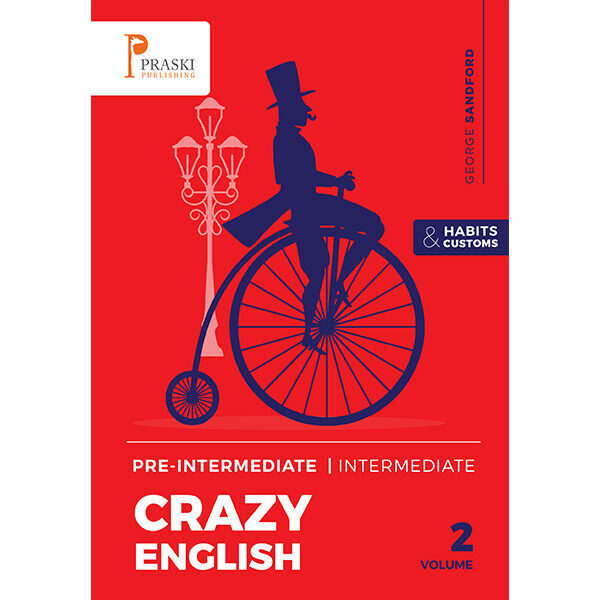 Crazy English 2 – Habits and Customs is a fun collection of 20 short texts designed to help English learners, (Pre- intermediate – Intermediate), to find out all about the eccentric aspects of English culture, customs and habits. It is both entertaining and practical. This latest version of the Crazy English series includes illustrations and pre-reading discussion tasks. Each text is approximately 250 words with comprehension or vocabulary tests and answers with easy navigation to and from the answer section. There is also additional vocabulary and key phrases relating to the topic. It is suitable for self-study or as a teaching aid. Material may be copied, with author attribution, for classroom purposes but not commercial use. Find out what’s involved in organising accommodation, phoning in sick for work, meeting neighbours in the lift, ordering drinks in a pub and what it means to have green fingers – most Brits do!